Every teenager looks forward to the time when they are able to start driving. No more being dropped off at school by mom and dad. Some lucky teens may even be given their own car or they are just happy to share a car with their parents. Being able to drive is a privilege to look forward to. It allows for a deepened sense of independence. However, some people are not granted this opportunity. Some may have failed to parallel park correctly and got too many points off of their driving test to qualify for a license. With more practice and a driver’s education program, this could change in the future. Some people may be faced with the consequence of getting their license suspended due to a variety of reasons. This can alter someone’s life since it may disrupt your everyday travel plans. However, the law must be followed. If you are found driving without a license, you may face consequences. 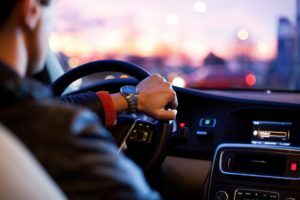 There are a few different factors to consider when faced with a charge of operating a motor vehicle without the proper permission. A license is a necessity to be able to drive yourself around. If you are charged with driving without a license, you may face a fine. This fine may vary depending on each individual. However, you may also face possible jail time. In order to lessen your consequences, you may want to hire an attorney. A professional attorney can help guide you toward a more successful case. We want to help protect your future as a driver. As your legal counsel, we will assist you in any way possible. What if I my license is under suspension? Officials have a tendency to be more lenient toward those who are caught driving without ever previously possessing a license. If you are caught with a suspended license though, you may not be as lucky. In New Jersey, each ticket for driving with a suspended license may come with the loss of driving privileges for an even longer period of time and fines starting at $500. If you are caught driving with a suspended license due to a driving under the influence charge, you may face even harsher consequences. This can be a serious ticket and may come with the most severe penalties for a municipal violation in the state. You may face a one to two-year loss of your license. Also, you may face the possibility of jail time for 90 days. On top of these consequences, you may be subject to state surcharges of $250 per year for three years.